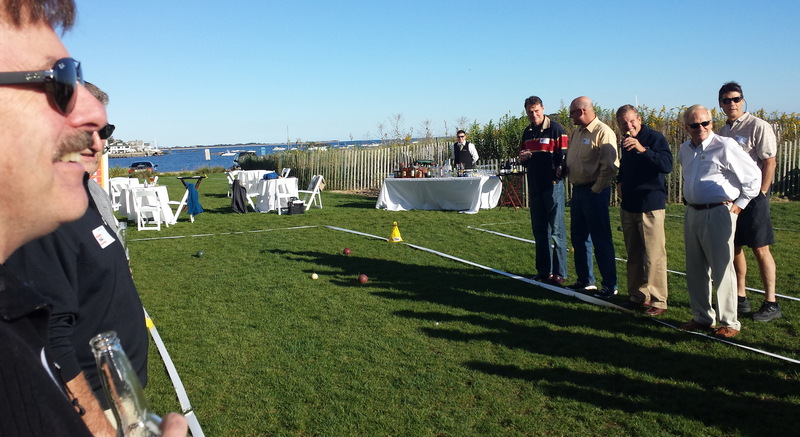 This week’s photos were taken on a nice grassy area by the beach in Connecticut for Kirkland Event & Destination Services, Inc. Kirkland’s the outfit that contracted with me to run the bocce portion of this corporate event for Hartford Steam Boilers Inspection and Insurance Co. Visit Kirkland’s web site at KirklandDMC.com. 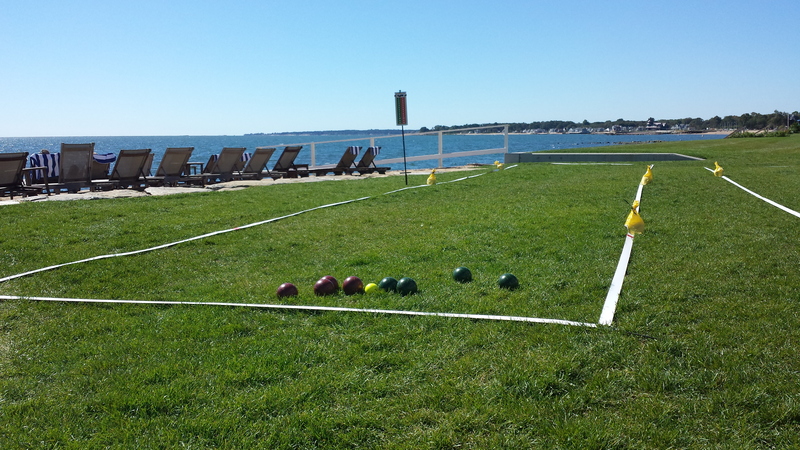 A few hours ahead of schedule we set up two bocce courts. Notice the yellow sand-bags are there to keep the white tape in place when high winds prevail. 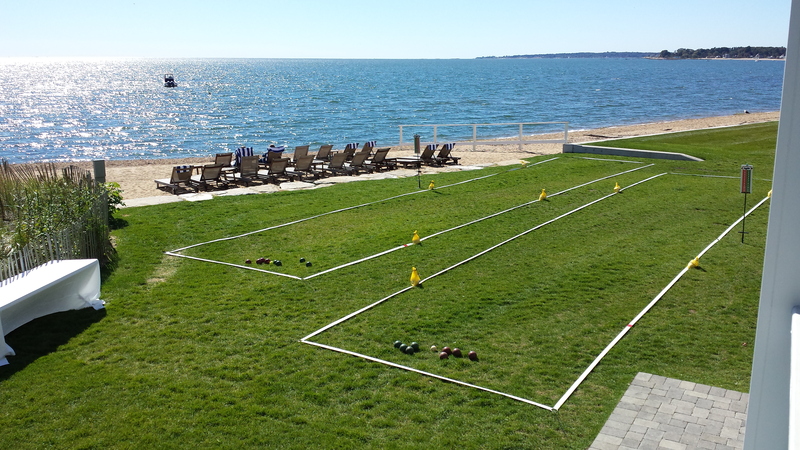 High on the veranda we get a beautiful aerial view of our courts and the surrounding area. 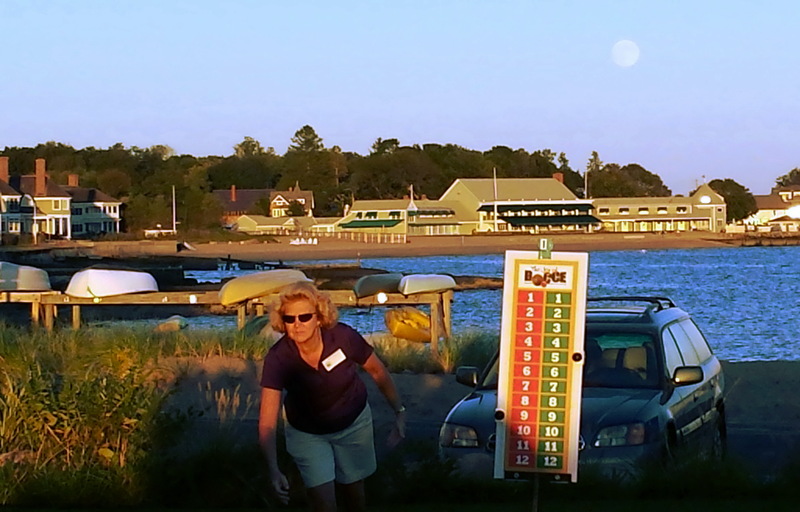 When everyone showed up I discussed the rules and how the tournament was played. Here, I was giving a few strategy pointers before game time. 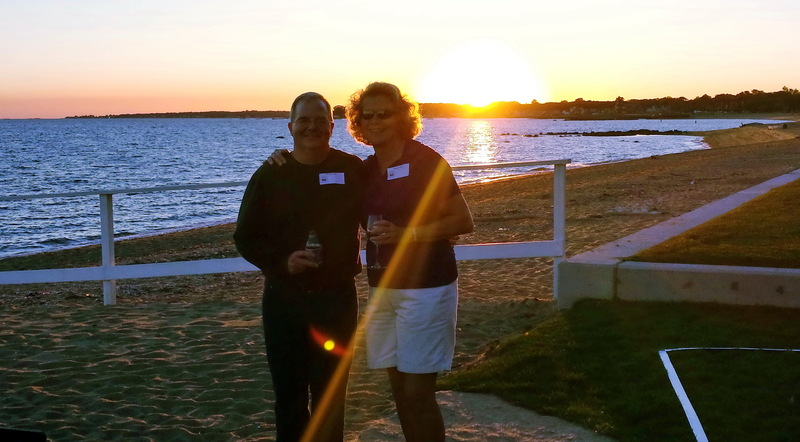 In the background you can see how the event was well-catered; providing good food and drink for the Hartford Steamboilers. As the sun was setting on the other. 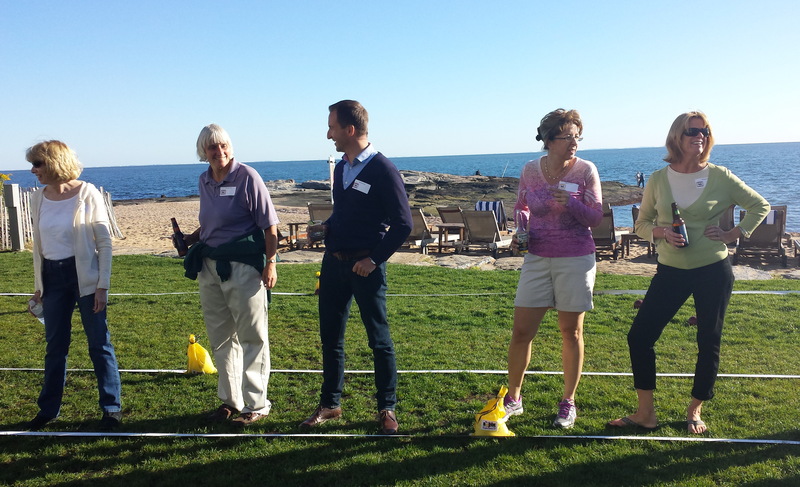 If you would like us to run a corporate outing done in a similar fashion, feel free to contact me. 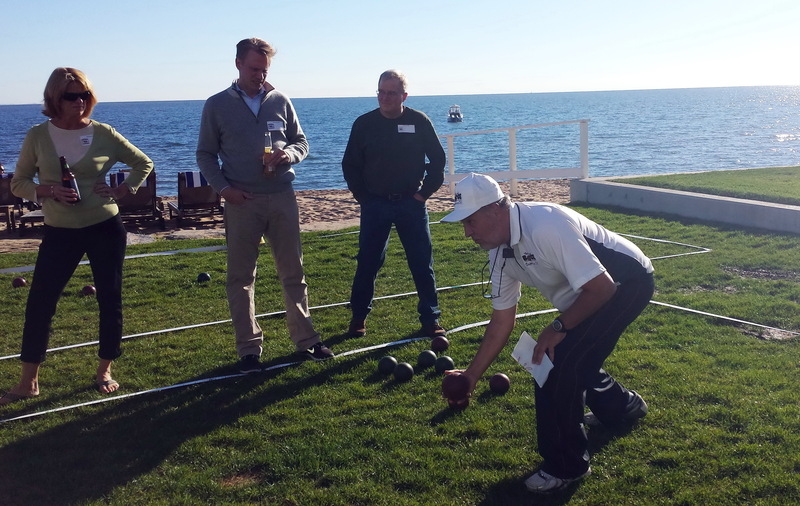 This entry was posted in corporate outings and tagged a set of bocce balls, bocce by the beach, bocce event, by the beach, corporate events manager, corporate outing, Hartford Steamboilers, Heather Huebner, Kirkland Events, two bocce courts. Bookmark the permalink.